I read an interesting article about how divorces are handled in Israel. It was initially written by John R Ellison and was published in the Harvard Business review on January to February 1990. The article had to do with our adversarial system in NY Divorce and in other states in America. 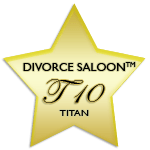 In the adversary system the idea in divorces is that aggressive representation will result in a good finding of the truth. Unfortunately in New York divorce cases it is often the case that this system fails when couples are of little means. The judicial system is now encouraging more efficient ways of dealing with divorces and family disputes. There are other options other than going to court such as mediation and collaborative divorces. In the case described in the article it was discussed that one wife wanted a divorce but her mother-in-law was pestering her. The court in Israel thought about it and ordered that the husband purchase a ladder so that when the wife wanted to avoid her mother-in-law the latter was available for her to leave. While the result was interesting, the premise behind it is more interesting. Choose a lawyer who is bent on settling your case rather than a lawyer who wants to litigate. The last resort should be #family #law #litigation and #trial. Most judges in New York County on #divorce cases urge this when litigants appear in their court room. They won't necessarily direct the parties to buy a ladder, but they are wise enough to encourage the litigants to settle out of court and are sensitive to the needs of the party's inability to pay for expensive procedures such as independent psychiatric evaluations, attorneys for children and the like. But sometimes one party or the other drives litigation with unnecessary motions and demands of the court. And under our system of law the litigants are entitled to a fair discovery of assets and a fair discovery of the facts from the other side. Sometimes the litigant needs judicial help to enforce Orders and the like. Most cases that end up in Court are high net worth cases such that the courts are bound to hear arguments from both sides. Further, when there are serious allegations or any allegations for that matter involving custodial Arrangements of the parties and children, especially when issues are raised as to Fitness of the par ties drug use or mental illness. the case ends up in Court and the Courts need advise in parsing expert psychological facts gleaned from expert reports that are filled with medical jargon. The lesson to be learned is to exhaust all remedies out of cout before resorting to judicial intervention. And if all else fails then hire a NYdivorcelawyer who is experienced, wise, well respected amongst her or his peers and Judges, knows the law, and is #trial savy.